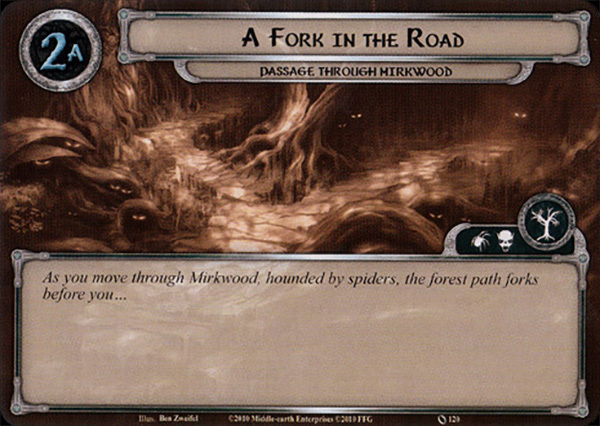 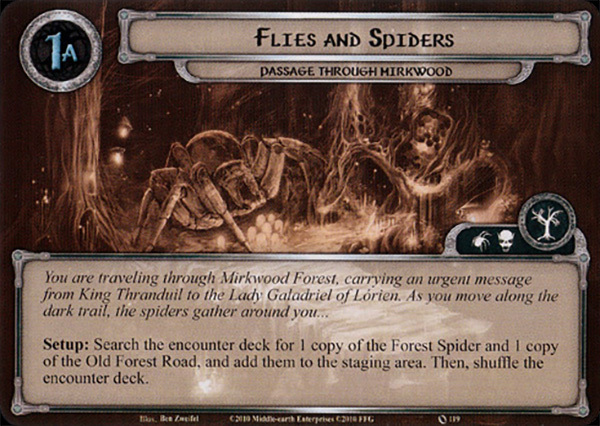 Setup: Search the encounter deck for 1 copy of the Forest Spider and 1 copy of the Old Forest Road, and add them to the staging area. 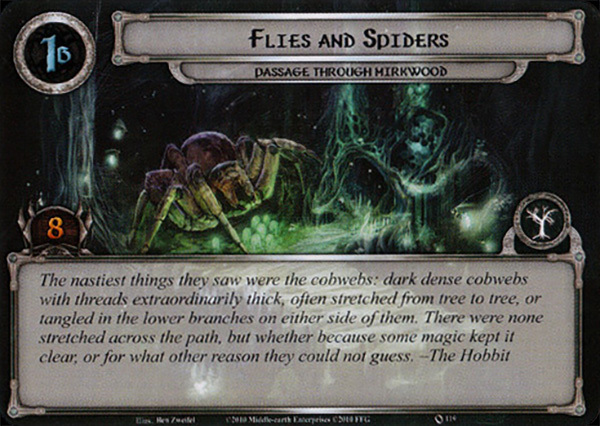 Then, shuffle the encounter deck. 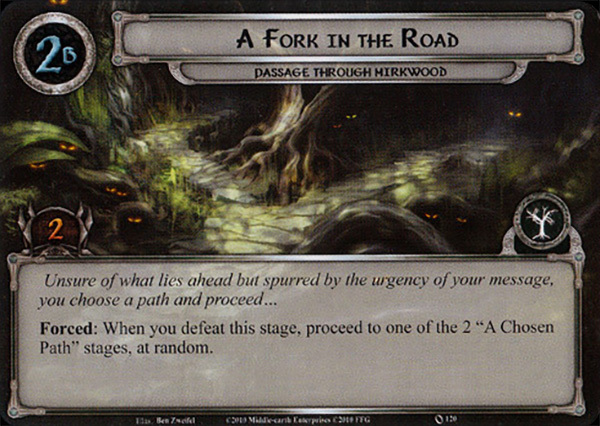 Forced: When you defeat this stage, proceed to one of the 2 "A Chosen Path" stages, at random.